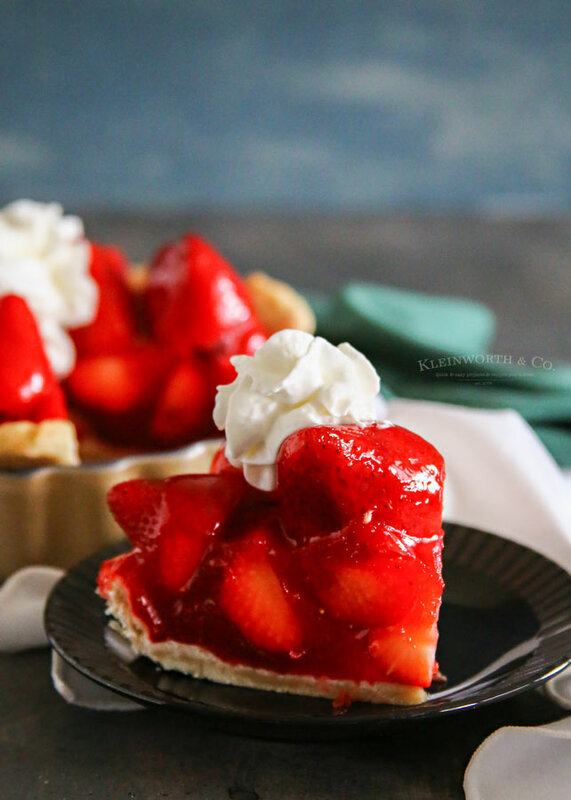 30-Minute Strawberry Pie – SO Easy & perfect for all your summer gatherings! Hi friends! 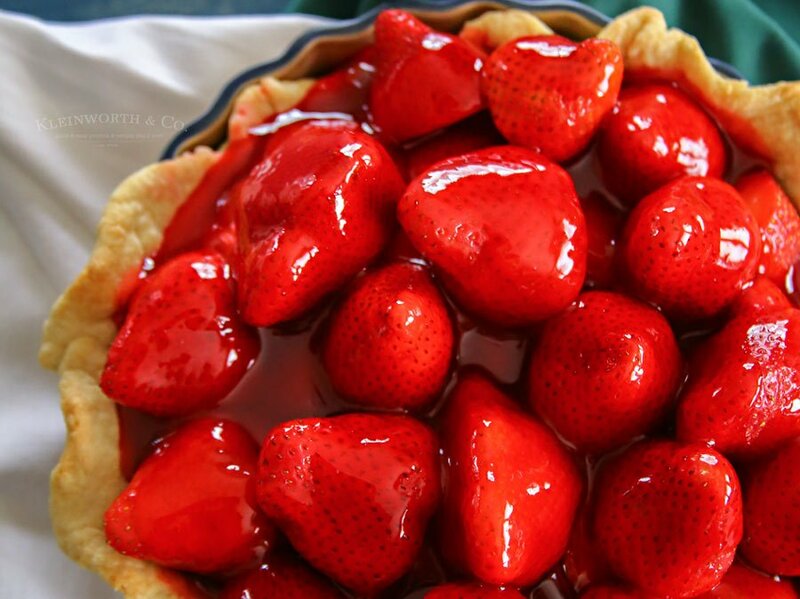 Do you love strawberry pie? 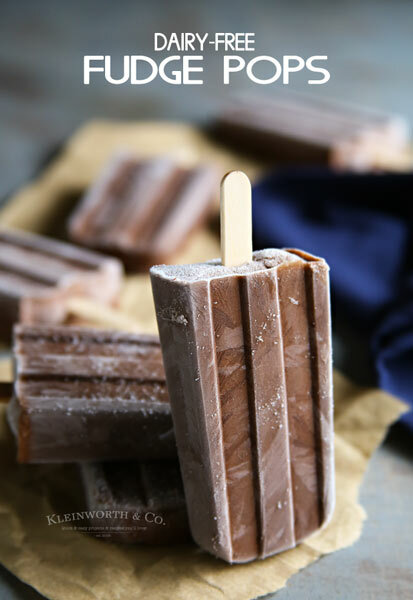 It seems like that is the all-time favorite of summer desserts here in our house. The kids just love it when we have enough strawberries either from the garden or from the store that we can put together a pie. It’s so easy to make, even with a homemade pie crust in just about 30 minutes time. You really can’t go wrong with that. I think that’s why it’s everyone’s favorite dessert. When I was just out on my own my mom & I would meet up for dinner when she was on her way home from work. She had to pass right by my place & it was so nice to just get together for food. We would have a small entree knowing that we planned on ordering pie later on. Often the restaurant didn’t have my favorite pie flavor on hand, so I would order strawberry instead. It was so light & refreshing, with the perfect amount of sweet. 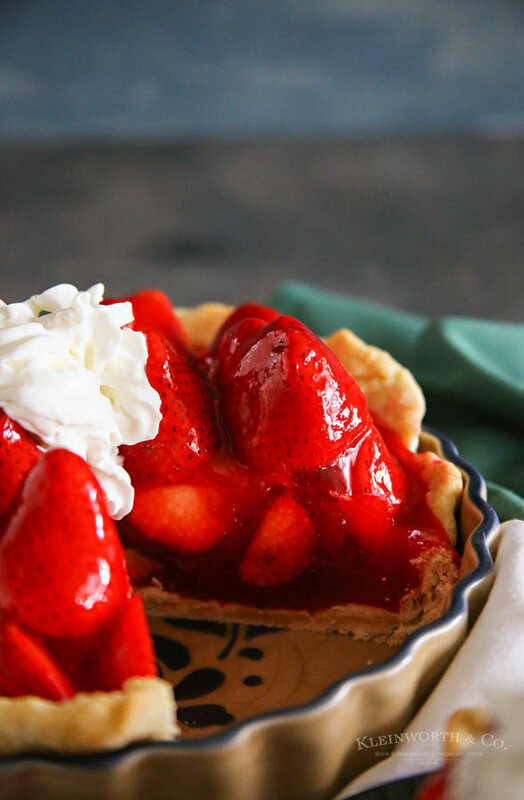 That flaky pie crust was always the best when paired with delicious strawberries. I made it my mission to learn how to make my own. After a few years, I was able to perfect my pie crust – which is really the basis for a great pie. The rest is simple, quick & easy. 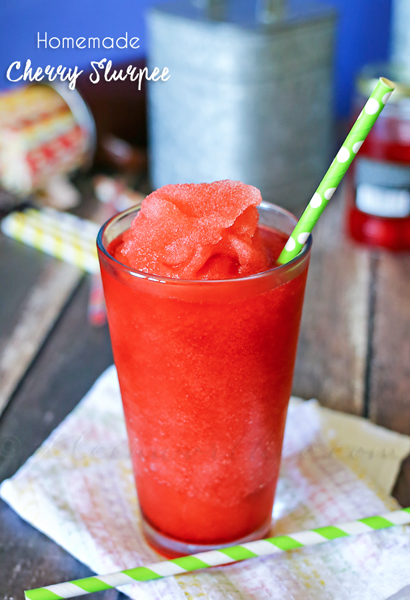 You have to make this for all your summer parties this season. 30-Minute Strawberry Pie- the perfect dessert! Combine flour, salt, sugar & butter in large bowl. With a pastry cutter start working the butter into the dry ingredients until it looks like crumbles. Work it together with your hands pressing & lightly kneading it together until you have a moist ball that holds together well. Once you have stretched the dough large enough to fill your pie plate - transfer to your plate. Poke holes in bottom of crust with a fork & bake for approximately 15 minutes. Remove & cool. Put the water, sugar & cornstarch in a saucepan and bring to a boil. Whisk constantly until it become thick. For about 1-3 minutes. Then whisk in Jell-O & cook for a minute longer. 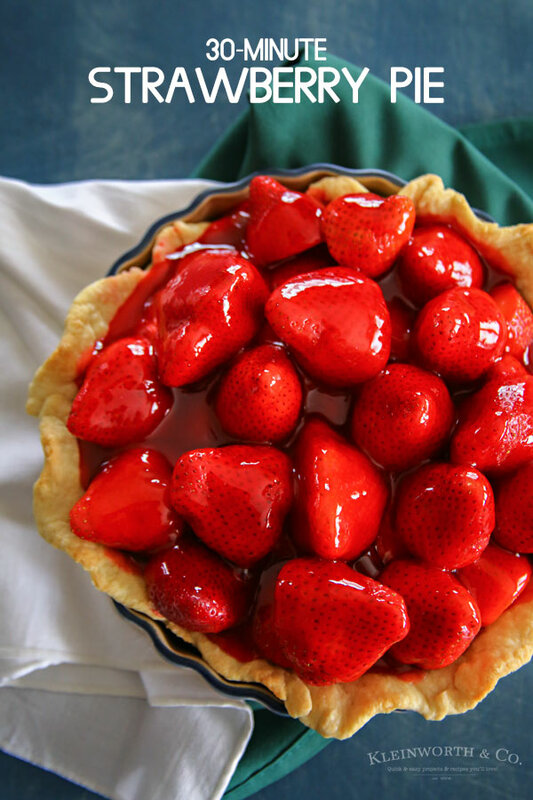 As the glaze cools, place strawberries into the pie crust. To maximize my time I like to whip up the glaze & get it cooling while the crust is baking. Then I pop both the crust & glaze in the freezer for a couple minutes to bring the temperature down more quickly. Then I can assemble & get it chilling as fast as possible. My family is not so patient when it comes to dessert. So they are often begging for a slice of this as I’m still making things. It’s so good – I know your family will love it. Looking for more great summer dessert recipes? ?